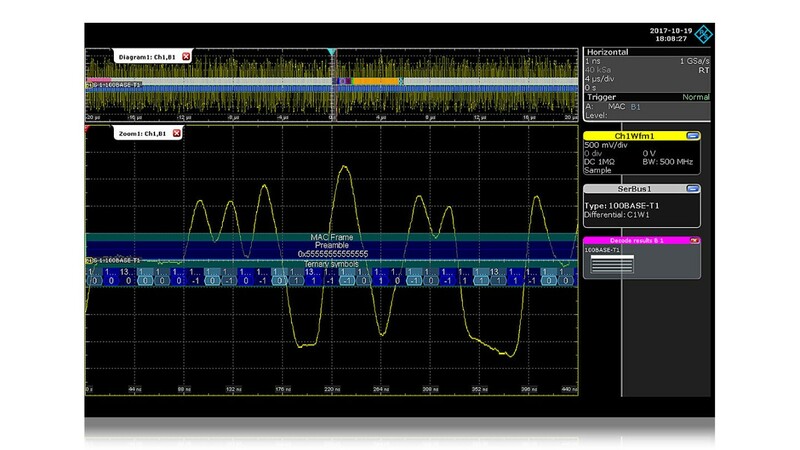 The R&S®RTP and R&S®RTO oscilloscope supports serial triggering and decoding of Automotive Ethernet BroadR-Reach or 100BASE-T1. 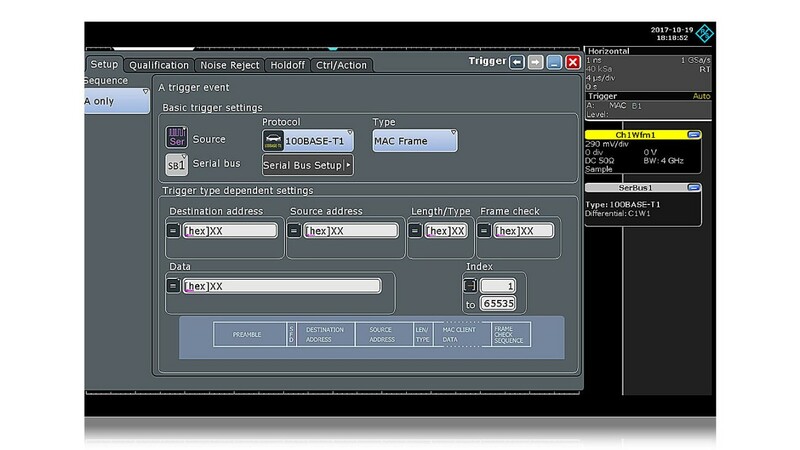 Errors are identified reliably and efficently using the trigger. You can trigger on frame start, Idle frame, MAC frame including destination & source address, frame type and data and on various error conditions. 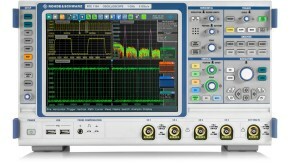 The R&S®RT-ZF5 fixture allows you to decode both 100BASE-T1 data streams at the same time. 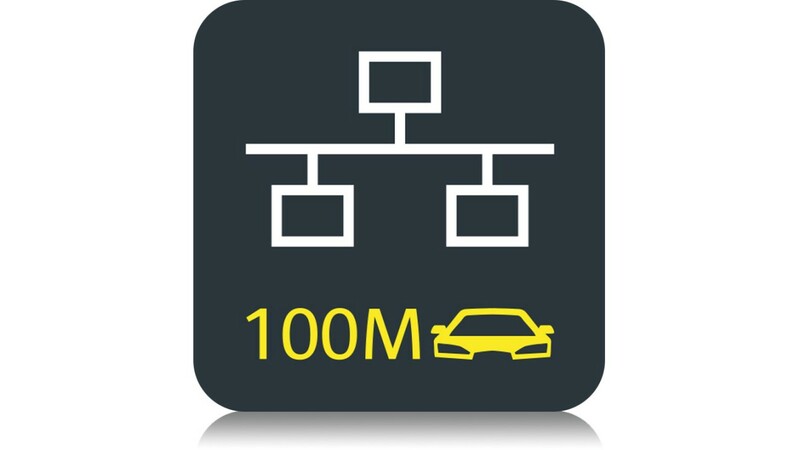 You can compensate the directivity of the fixture to obtain accurate decoding results. 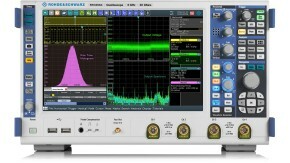 You can analyze the decoded bus on different decode layers. Most important is the ternary signals to directly correlate the decoding to the electrical signal. For further analysis, you can additionally show the scrambled and descrambled bits. 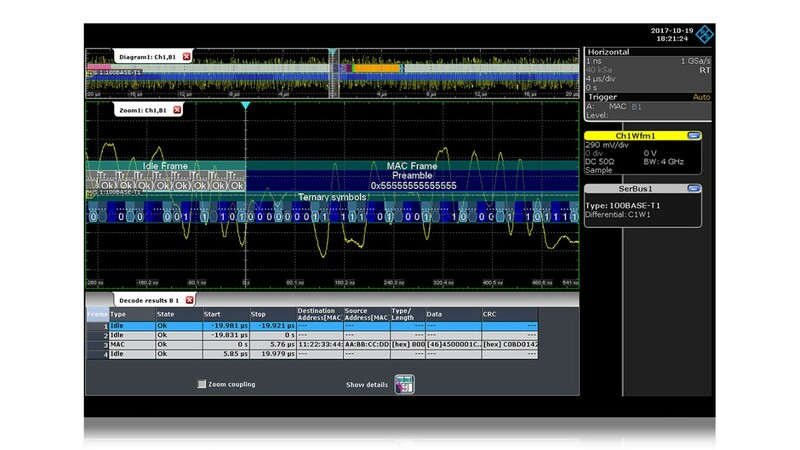 Strong trigger capability on frame start, idle frame, MAC frame and addresses, frame type and data and various error conditions.